Use a sharp knife to cut thick slices of cauliflower around 2-3 cm thick. Start from the top center of cauliflower head cutting through stem end. 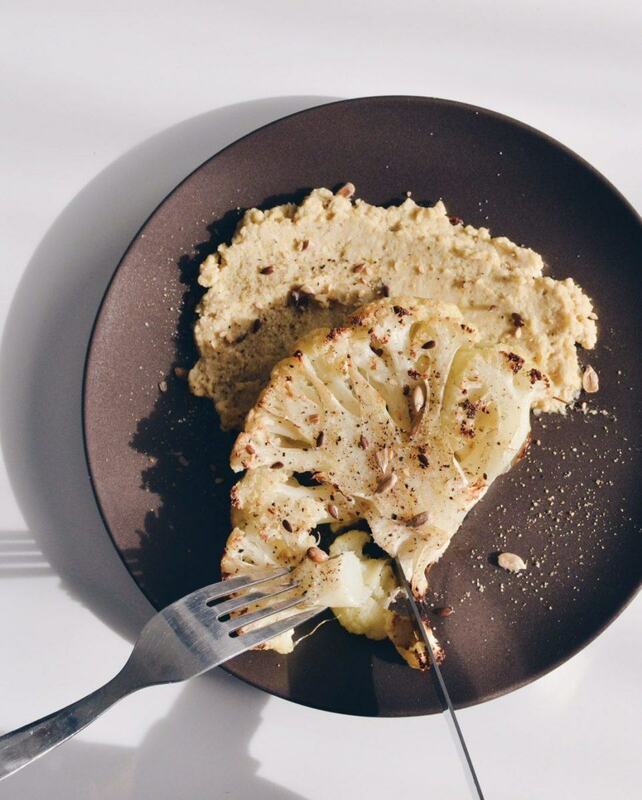 Brush the cauliflower steaks with olive oil and sprinkle with salt and pepper. Bake in the preheated oven for around 20 minutes, or until golden brown and crispy at the edges. Serve it immediately over hummus.